NP BEACH VOLLEYBALL CLUB was one of the first clubs in the country to promote sand volleyball among junior players. 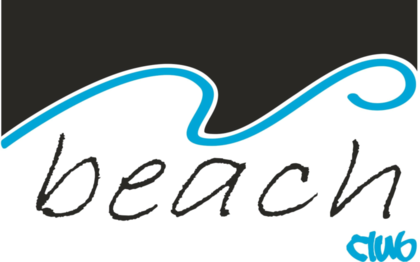 NP Beach remains among the premier beach clubs in the NW and continues to lead by combining the physical and technical environment with the mental strategies of the game. Founded by former AVP professional player and Seaside Pro Division champion Brian Chapman, the club has grown tremendously in the past few years but still prioritizes individualized instruction, skills training, conditioning and tournament coaching throughout the summer months in the Portland and Salem areas. Why beach volleyball? Players stay in shape, increase vertical, and also stay on top of their game over the summer. Ask any of our NP BEACH players and they will tell you that the fastest improvement they've seen in their indoor volleyball game took place at the beach.And, in addition to getting an incredible workout and providing the fastest way to gain all-around volleyball skills, there is a new reason to play beach volleyball-- a college scholarship. It’s official! NCAA has announced beach/sand volleyball as its newest collegiate sport, www.ncaa.org/sports/sand-volleyball. There are currently 41 colleges that have beach volleyball programs, with an additional 40+ colleges offering programs in the next few years. See the current list at www.collegesand.org/schools. NP Beach Club was the first juniors beach volleyball club in the Northwest to have players earn Division I sand volleyball scholarships in this quickly growing sport. Favorite beach volleyball courts, both the NW and the North Pacific; Canada: Kitsilano Beach in Vancouver, Britsh Columbia. Washington: Alki Beach in Seattle, Washington. Golden Gardens in Seattle, Washington. Oregon: Woksup Beach Facility in Gresham, Oregon. East Delta Park in Portland, Oregon. Gabriel Park in Portland, Oregon. Broadway and the Beach in Seaside, Oregon. Nike Campus in Beaverton, Oregon. Chemeketa College in Salem, Oregon. Linn-Benton College in Albany, Oregon. OSU in Corvallis, Oregon. Amazon Park in Eugene, Oregon. Old Mill District in Bend, Oregon. Juniors Beach Volleyball Organizations: North Pacific Beach Volleyball Juniors Tour, NPBVAJrs, United States Volleyball Association USVA, Federation International Volleyball FIVB, EVP, AVP, CBVA, CEVA. Congratulations NP Beach Club Players! Tani Stephens: 2013 Oregon High School Volleyball Player of the Year, scholarship to play indoor volleyball at WSU. Tani grew up with her feet in the sand, her parents play beach volleyball and recognize the benefits beach volleyball has on an indoor volleyball players all-around game. Tani and her partner won the Women's AA at the West Coast Championships in Seaside in 2012. Emma Peel: Scholarship to play NCAA Division I beach volleyball at Mercer University. Emma started doing beach clinics with us 6 years ago and has been working hard in the sand ever since. She placed 3rd in the 18u USAV National Beach Volleyball Championships in 2012 and won both 16U and 18u West Coast Championships in Seaside in 2011 and 2012. Last year Emma played first seed at Mercer as well as being named captain of the team her sophomore year. In Emma's Junior year she has been voted All-Conference and is again at the #1 position for Mercer University. We look forward to having Emma back every summer coaching with NP Beach Club. Sydney Haynes: Scholarship to play indoor and beach volleyball at Cal State Bakersfield. This summer will be Sydney's 4th summer with NP Beach Club. She has made amazing progress in only a few short years. She and her partner placed 2nd in the 18u West Coast Championships in Seaside in 2013. Sydney competed as the 4th seed at CSUB her freshman year, 2nd seed her sophomore year and is currently competing in the 1st position her Junior year. We look forward to having Sydney back in the summer coaching for NP Beach Club. Sophie Peel: in 2012 Sophie was the only junior volleyball player in the country to qualify for both indoor and sand volleyball national championships. Scholarship to play DI sand volleyball at Mercer University. Sophie placed 3rd in the 18u National Beach Volleyball Championships in 2012. Starting at age 13 she won the 14U, 16U and 18U junior championships at the Seaside tournament in successive years. Sophie competed in the Pro division at Seaside thelast 2 summers and was a top seed her freshman year at Mercer. In Sophies sophomore season she is competing in the #1 position. We look forward to having Sophie back this summer coaching for NP Beach Club. Hailee Ryan: Scholarship to play sand volleyball at Concordia Irvine. Hailee started with NP Beach Club at age 12. She was in the finals of the 14U, 16U and 18U junior championships at the Seaside tournament in successive years. Hailee is in her freshman year and having a great impact for her team in the 2019 beach season. Congratulations girls! We'll be following your progress and success in college and pro career to follow! NP Beach Club has sent more players to college on a beach volleyball scholarship than any other NW beach volleyball club. Ask any of our NP BEACH players and they will tell you that the fastest improvement they've seen in their volleyball game took place on the sand!! NP Beach Club will be hosting 2 spring break beach clinics. Email for more info and to hold a spot: npbeachvolleyballclub@gmail.com. NP Beach Club will be hosting our 2019 Spring Tryout/Clinic May 12th for McMinnville practice location. May 18th for Portland location. Please email npbeachvolleyballclub@gmail.com for times, locations and to hold a spot for the tryout. *All teams who tryout will make the club. Players can tryout individually or as a team.